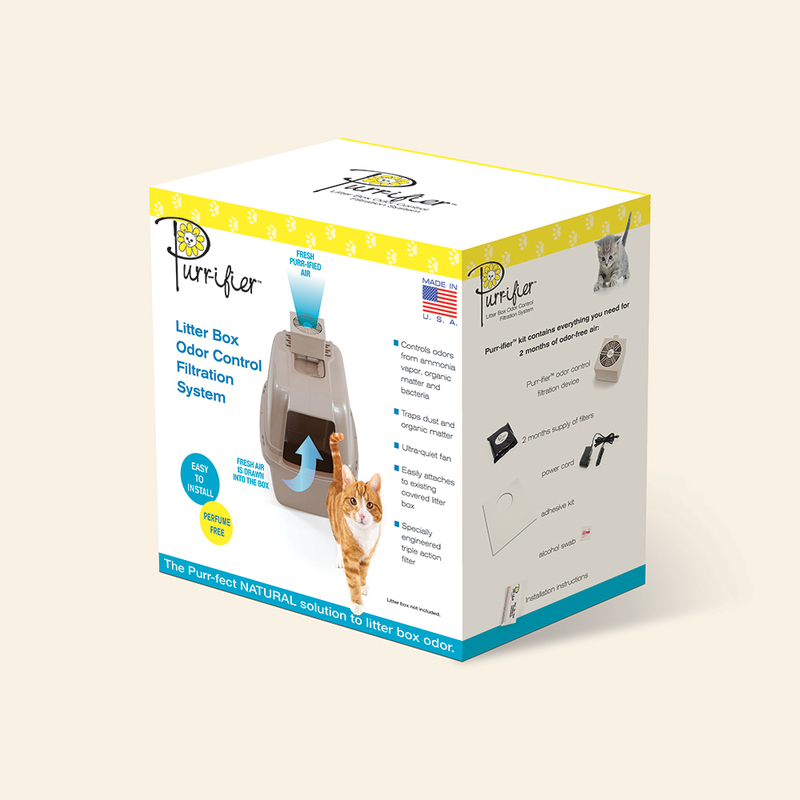 DNKB needed a box for their Purr-ifier® cat litter filtration system to present to Petco. The challenge was to explain the story of the product’s unique function at one glance without losing the shopper’s interest. To fit in with the upscale look of Petco’s private label packaging, our pet package design included a white background, primary color palette, and enlisted a couple of stock kitties to liven things up.